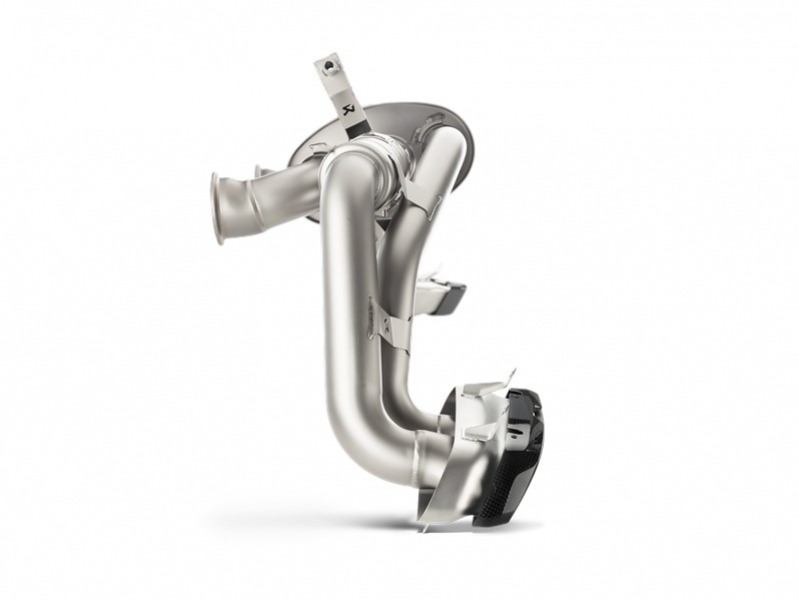 Akrapovič has introduced its latest high-performance exhaust system, which is designed to take the already thrilling 2016 Audi R8 5.2 FSI Coupé/Spyder on to even greater levels of excitement and intensity. 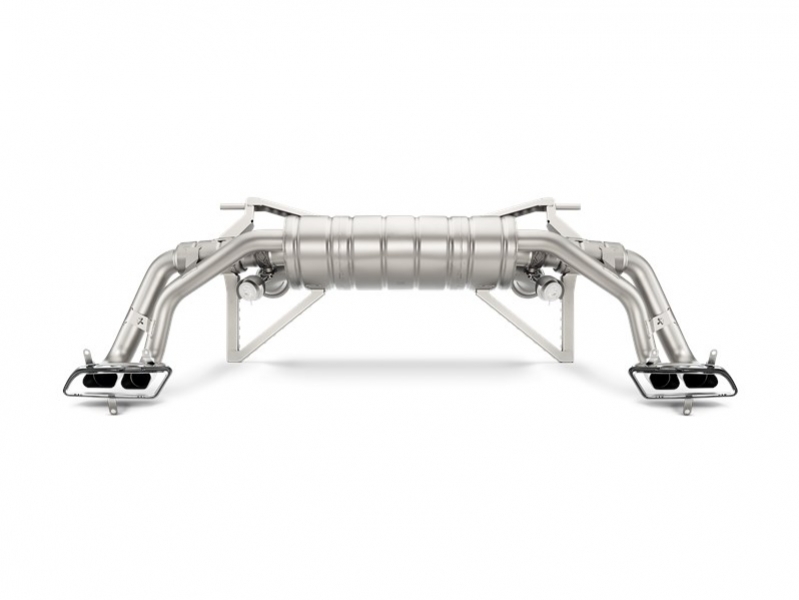 The Slip-On Line exhaust system is constructed from an ultra-lightweight high-grade titanium alloy, which not only gives an amazing look and finish to this stylish system, but more importantly guarantees a boost to the R8’s power-to-weight ratio and handling characteristics. Designed to make the most of the Audi’s stunning V10 naturally-aspirated engine, the Slip-On Line has been precision engineered to improve throttle response and increase both the power and torque outputs, with an increase of 8.5 kW (11.5 HP) of power at the all-important 6,000 rpm mark. 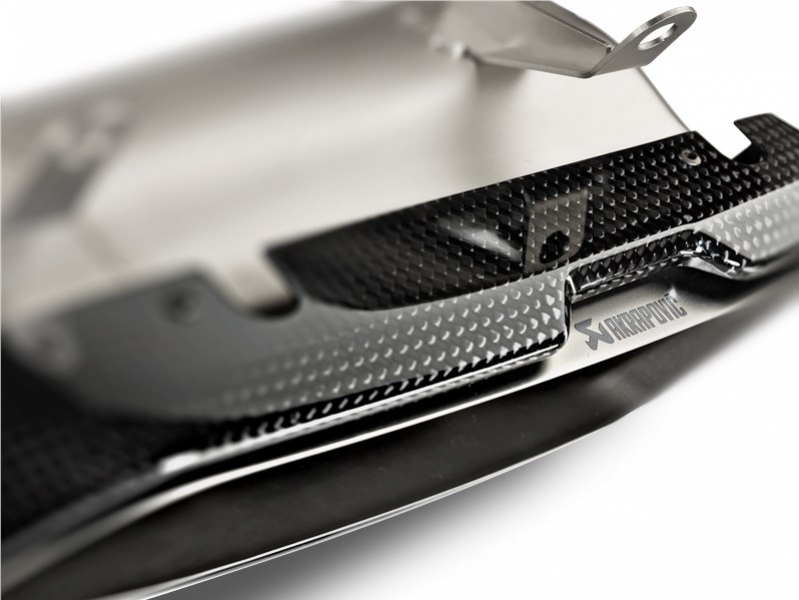 Designed to reduce back-pressure, a combination of specialized muffler shapes, secondary resonators, and titanium dual-mode exhaust valves – cast in Akrapovič’s in-house titanium foundry – has resulted in a decrease in back-pressure to almost half that of the stock system. With a major weight reduction (- 57 %), and due to the placement of the R8’s engine, handling is significantly improved on this already sure-footed car, further boosting the senses and the overall driving experience. To cap off the superbly engineered system, two exquisitely hand-crafted carbon-fibre and titanium tailpipes fit perfectly into the R8’s stock diffusor to ensure that the Slip-On Line (Titanium) is as visually appealing as its performance is exhilarating. For a further delight to the senses, the Slip-On Line exhaust system has been tuned by Akrapovič’s sound engineers to enhance the sporty note and produce an incredible symphony from the V10 engine while still ensuring maximum comfort and enjoyment in the car’s cockpit. The tone moves from a pleasant growl at low revs to the unique Akrapovič race-like sound as the revs rise and the excitement grows. The sound can be further enriched through the addition of the optional Akrapovič Sound Kit. With this added accessory the driver – or passenger – has the option to control the sound of the system from inside the car. Using Akrapovič technology, drivers can easily switch between modes by using a receiver to drive the actuators that open or close the valves at the end of the exhaust system. This simple function is achieved via the use of the Sound Remote Controller or the smartphone app to regulate the valves. Akrapovič has taken Audi’s supercar and made it even better by increasing power, lowering weight, and adding a superb soundtrack, making the car a total treat for the senses with the addition of the Slip-On Line exhaust system – a performance upgrade that has to be driven, heard, and seen to be believed.